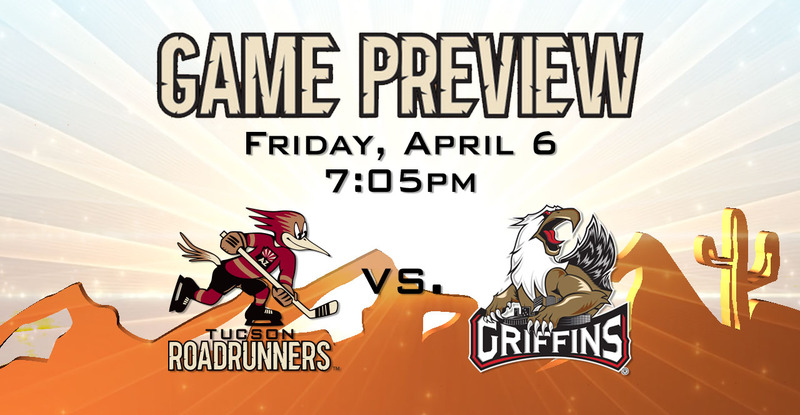 SO GRAND: Tonight marks the third of four meetings with the Griffins this year, and the first of Grand Rapids’ two scheduled visits to Tucson Arena. The Roadrunners are playing the first of a two-game home stand; they’re coming off of a 4-3 win over the Iowa Wild last Saturday. The Griffins are playing the second of a five-game road trip; they’re coming off of a 6-2 win over the Milwaukee Admirals on Saturday. RAPID REBOUND: Since the Roadrunners’ 3-2 loss to Grand Rapids on February 28, which was just their second regulation defeat to a Central Division opponent this season, the team has earned points in 11 of 13 games played, posting a 9-2-2-0 record during that stretch. SHOT SHEET: The Roadrunners allow their opponents an average of 26.78 shots per game, which is the second-lowest mark in the league, behind only the Syracuse Crunch’s 26.51 median. The Griffins take an average of 32.66 shots per game, which is the third-highest balance in the AHL. TO SET IN STONE: With either a win tonight, or an Ontario Reign victory over the San Diego Gulls, the Roadrunners will clinch home-ice for the first round of the Calder Cup Playoffs. The team's magic number to clinch the Pacific Division, which would assure home-ice through the first two rounds, currently stands at 6. 200 AND COUNTING: Michael Bunting, presumed he is in tonight’s lineup, will be playing in his 200th professional game. He is the Roadrunners’ franchise leader in games played (129), points scored (69), and goals scored (35). He netted four goals in the Roadrunners’ two wins over the Iowa Wild last weekend, upping his season point total to 41. 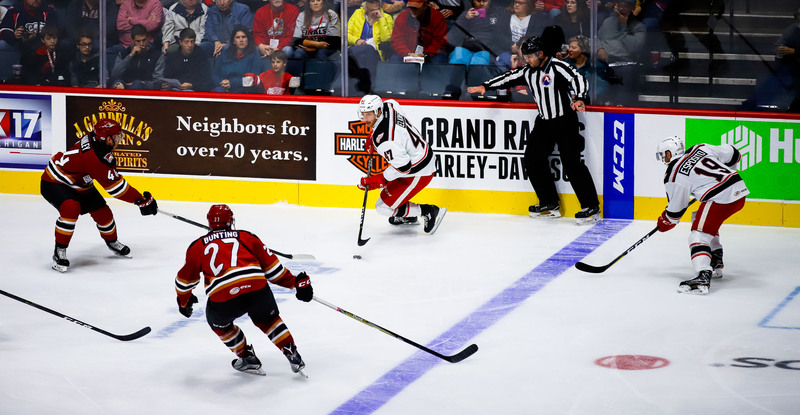 THE LAST TIME AROUND: In the teams’ previous meeting on February 28 at Grand Rapids’ Van Andel Arena, the Roadrunners fell to the Griffins by a 3-2 score. Dylan Strome and Jens Looke netted Tucson’s two goals in the second period. Eric Tangradi buried the game-winning goal with 11:34 to play in regulation. Hunter Miska turned away 19 of the 22 shots he faced in the loss. GRIFFINS ON THE GO: The Griffins enter the evening hot, having earned points in seven consecutive games, compiling a 6-0-0-1 record during that stretch. Dating back to January 8, Grand Rapids has earned points in 14 of its last 15 road games (12-1-0-2), their lone regulation loss coming on March 10 to the Wilkes-Barre/Scranton Penguins.